The allure of forbidden romance almost always makes me pick up a book, so when I saw that this book had that and had a musical thread I knew I had to read it. Alyssa Palombo’s debut is a sweeping love story between two people that cannot be together, yet whose love never fades over decades. I enjoyed this book but lack of relationship development early on made it impossible for me to believe the intensity of their romance. 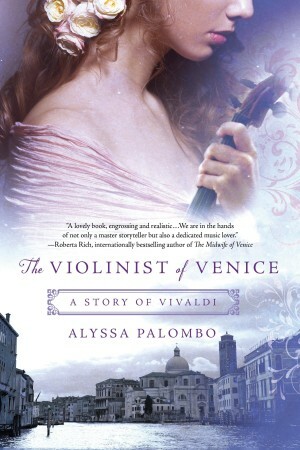 This story is a fictional reimagining of what it might have looked like for Antonio Vivaldi to have a lover in 18th century Venice. Adriana is the daughter of a wealthy merchant whose father has forbidden her from playing any music. She seeks out “The Red Priest”—Vivaldi—to give her violin lessons in secret. After a few months of lessons, their relationship goes beyond that of teacher and pupil and develops romantically. But their love cannot be for several reasons: Vivaldi’s position as a priest and Adriana’s upcoming arranged nuptials. This story spans nearly 40 years through the magic of Venice at the height of the Italian Baroque period. The amount of research Palambo had to do was evident in the descriptions of the canals, the clothing, the culture, and the numerous music references. The setting in this book was almost a character itself, what with the author’s vivid descriptions of the gondola rides in the winding canals of Venice and times at the Italian opera. I really enjoyed reading about the Carnival of Venice. I think it would have been so neat to see how it all happened during that time period. The dresses and the night life sounded so fun! As a classically trained musician myself, I am always weary of reading books with heavy musical elements because the nuances are usually not there. Here, Palambo clearly knows what she is talking about because she’s a musician herself. All of the musical terms were used correctly down to the descriptions of the movements of Vivaldi’s compositions. I loved how she wove in his pieces throughout the story, placing specific pieces deliberately at certain times for high emotional impact. It made me want to turn on my “Best of Vivaldi” CD. (Yes, I have a Best of Vivaldi CD. He’s a Baroque Rock Star. All of his pieces have such a great beat! 😉 ) . 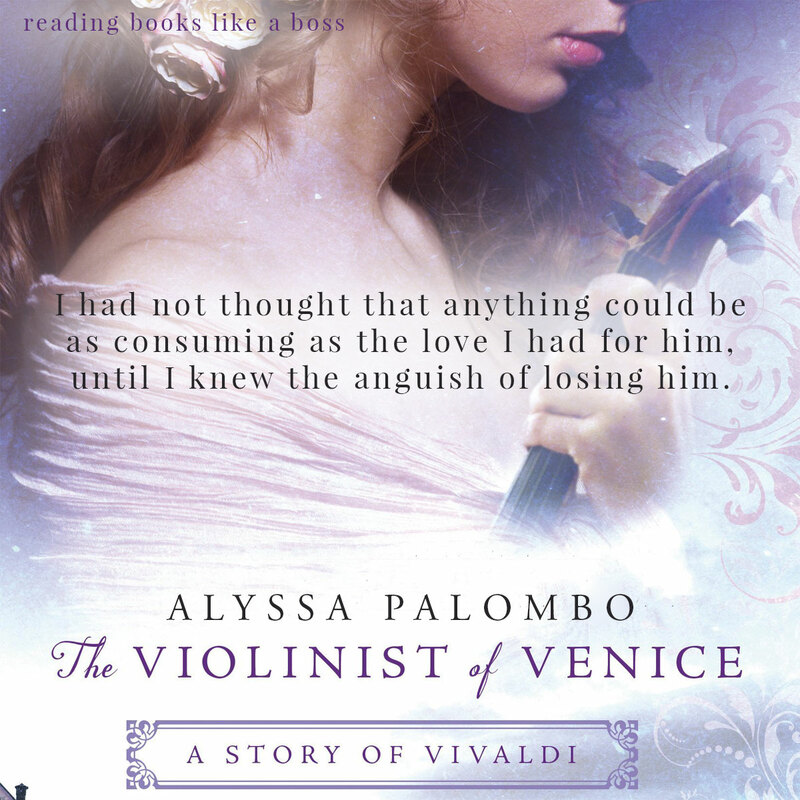 Vivaldi and Adriana’s love story had to develop early on in the book due to all of the action that had to happen. But here, the author failed to fully develop their relationship into something that the reader could truly believe. In a story like this, this type of emotionally devastating romance needs to be strong and believable to carry on in the readers mind for the rest of the novel. We are told that the couple is madly in love by about page 60 but the reader hasn’t really had time to see the two of them together, feel their chemistry, and experience their love story—save for a few music lessons. In order for me to enjoy the rest of the book, I had to force myself believe that had this earth-shattering love. * I received an advanced copy from the publisher in exchange for an honest review. This did not affect my opinion of the book in any way.